If you ever find yourself on Bill Clinton Boulevard, looking up at an eleven foot high statue of Bill Clinton, you will know you are standing in Pristina, the capital city of Europe’s newest country, Kosovo, which owes its existence largely to the United States, and specifically to President Clinton’s decision to lead a NATO bombing campaign against Serbia in 1999. That year, the U.S. responded to human rights violation by the Serbian government against the ethnic Albanian majority in Kosovo by leading a military intervention that forced Serbia to withdraw its armed forces from Kosovo, which had been a Serbian province. The Republic of Kosovo eventually declared independence from Serbia on February 17, 2008, an act made possible by the ongoing occupation of the land by a U.N. peacekeeping force. Although Kosovo’s independence has been officially recognized by only one-third of the world’s nations, their number includes the United States and 22 of the 27 members of the European Union, the exceptions being Cyprus, Greece, Romania, Slovakia and Spain. Lay of the Land: Kosovo is a landlocked territory bordered by Serbia to the north and east, Macedonia to the south, Albania to the west and Montenegro to the northwest (all but Serbia recognize Kosovo’s independence). The capital and largest city is Pristina (alternatively spelled Prishtina or Priština), with an approximate population of 500,000. With an area of 4,212 square miles, Kosovo is slightly larger than Delaware, its terrain dominated by a flat fluvial basin with an elevation of 1,300 to 2,300 feet above sea level, surrounded by several high mountain ranges with elevations of 6,500 to 8,200 feet. Kosovo’s climate is influenced by continental air masses, resulting in relatively cold winters with heavy snowfall and hot, dry summers and autumns, though Mediterranean and alpine influences create regional variation. In antiquity, the Kosovo region was known as Dardania; from the 1st century AD it formed part of the Roman province of Moesia. The territory was first inhabited by the Illyrians; one of the ancestors of present-day Albanians, the other being the Dardanians. Serbia retained control until the defeat of the Serbian Empire by the Ottoman Empire at the First Battle of Kosovo on June 28, 1389, an event still commemorated in Serbian culture. The Second Battle of Kosovo occurred in October 1448 between Hungarians and Ottomans. Once again, the Ottomans proved victorious. The Ottoman conquest of Kosovo, completed in 1455, led to five centuries of Ottoman rule, during which large numbers of Muslim Turks and Albanians settled in Kosovo, while some Serbs converted to Islam. As a result, by the end of the 19th century, Islam had replaced Christianity as the dominant religion in Kosovo. The Ottomans were temporarily overrun by Austrian forces with Serbian aid during the Great Turkish War, which occurred between 1683 and 1699. The opposition by native Serbs was a result of oppression by the Ottoman Empire. Most Serbs did not convert to Islam while a majority of the Albanians did. Consequently, the Serbian troops took over a portion of northeastern Kosovo during the Russo-Turkish War between 1877 and 1878, and were more successful than they were during the Great Turkish War. Serbia became fully independent in 1878 through the Berlin Conference, and regained control over Kosovo from the Ottoman Empire during the First Balkan War of 1912. Due to the war, many Albanians and Turks were either slaughtered or forced to leave their homes, which were then re-occupied by Serb peasants. However, the majority of the population remained Albanian. The British Foreign Secretary, Sir Edward Grey, finally granted Serbia sovereignty over Kosovo. Serbic conquest continued the following year with the Second Balkan War, in which the territory doubled in size. At the close of World War I, Serbia and Kosovo became part of Yugoslavia. Following the end of World War II and the establishment of anti-Nazi resistance leader Josef Tito’s Socialist regime, Kosovo became an autonomous region of Serbia in 1946 and an autonomous province in 1963. Under the 1974 Yugoslavian Constitution, Kosovo gained virtual self-government. Despite, or perhaps because of, these concessions, Kosovar nationalism increased in the 1980s, leading to riots and calls for Kosovo’s independence. At the same time, Serb nationalist leaders, such as Slobodan Milošević, exploited Kosovo Serb claims of maltreatment–many of them valid–to secure votes from supporters, many of whom viewed Kosovo as a Serbian cultural heartland. Under Milošević’s leadership, in 1989 Serbia imposed a new constitution that revoked Kosovo’s autonomy along with the rights of Kosovo Albanians. As a result, mass rioting led to a state of emergency in February 1990, followed by a referendum held by Kosovo Albanian leaders in 1991 that declared Kosovo independent. Serbia then carried out repressive measures against Albanians in the early 1990s as the unofficial Kosovo government, led by President Ibrahim Rugova, used passive resistance in an attempt to try to gain international assistance and recognition of an independent Kosovo. Albanians dissatisfied with Rugova’s passive strategy created the Kosovo Liberation Army in 1996 and launched an insurgency against the occupying Yugoslav forces. Starting in 1998, Serbian military, police, and paramilitary forces massacred Kosovo Albanians, including the infamous massacre of 45 Kosovar Albanians at the village of Račak in January 1999, and engaged in ethnic cleansing of Albanians. International attempts to mediate the conflict failed, and Milošević’s rejection of a proposed settlement led to a three-month NATO bombing campaign against Serbia between March 24 and June 10, 1999, which forced Serbia to agree to withdraw its military and police forces from Kosovo. The conflict resulted in a massive displacement of population in Kosovo, as roughly a million ethnic Albanians fled or were forcibly driven from Kosovo; thousands of Serbs also fled. Altogether, more than 11,000 deaths were reported to human rights prosecutors, and about 3,000 people are still missing, of whom 2,500 are Albanian, 400 Serbs and 100 Roma. On June 10, 1999, the war ended with the Kumanovo Agreement between the Serbian and Yugoslav governments, which allowed the UN to control the territory. The UN Security Council placed Kosovo under a transitional administration pending determination of Kosovo’s permanent status. During this time, many Serbs and non-Albanians, especially the Roma who were accused of allying with the Serbs, fled Kosovo and lived in refugee camps. A UN-led negotiation process began in late 2005 to determine Kosovo’s final status, but ended late in 2007 without agreement. On February 17, 2008, the Kosovo Assembly declared Kosovo’s independence, which was immediately recognized by the U.S. and several major European powers, including the U.K., France and Germany. Serbs in Belgrade rioted in response, storming the U.S. embassy there and attacking the embassies of Britain, Germany, Croatia and Turkey as well. On June 10, 2009, the UN Security Council Resolution 1244 established the UN Interim Administration Mission in Kosovo (UNMIK) which controls the political realm and works alongside EULEX. In November 2009, Kosovo held its first local elections since declaring independence from Serbia, resulting in a peaceful win for Democratic Party of Kosovo. Voter turnout was 45% and included minority Serbs, despite encouragement from the Belgrade and Serbian Orthodox Churches to boycott the vote. The U.S. has been critical to the modern-day development of Kosovo. President Bill Clinton’s decision to lead a NATO bombing campaign against Serbia led to Serbia’s withdrawal from Kosovo. As a result, Kosovars feel enormous gratitude toward the U.S. and to Clinton in particular, whom they believe saved them from genocide. As a way of showing that appreciation, in November 2009 Kosovo unveiled an 11-foot tall statue of Clinton, located on Bill Clinton Boulevard in Pristina, at a public dedication ceremony attended by the former President and thousands of Kosovars. To show further appreciation, the Kosovo has also named a street “George W. Bush Street.” The U.S. has since been a generous aid donor to Kosovo, and recognized its independence just one day after it was declared. The US established diplomatic relations with Kosovo on February 28, 2008 and opened an Embassy in Pristina on April 8, 2008. The US also pledged $400 million for 2008-2009 during the July 11 Donors’ Conference. Kara DioGuardi: She was a judge on American Idol during its eighth and ninth seasons and is currently the Executive Vice President of Talent Development for Warner Bros Records. She is of Italian and Albanian descent. Her father is Joseph J. DioGuiardi, a former Republican Congressman. Tony Dovolani: He is a professional ballroom dancer, has been involved with Dancing with the Stars, and acted in Shall We Dance? with Jennifer Lopez. He was born on July 17, 1973, in Pristina. Fan Stilian Noli: Among several professions, he is known for being a writer and politician. He founded the Albanian Orthodox Church and served as prime minister of Albania in 1924. After being overthrown, he acquired US citizenship in the 1930s, and died in Florida in 1965. Current U.S. relations with Kosovo are friendly and strong, and Kosovar affection for the U.S. and its leaders remains effusive. When Vice President Joe Biden visited Pristina in May 2009, thousands of people lined the streets to greet him, a street in Pristina has been named after President George W. Bush, and a square is named after former Secretary of State Madeleine Albright, who was a vocal critic of Serbian repression in 1998 and 1999. The U.S. has been a major supporter of Kosovo’s independence, and the U.S. Embassy issued a formal message of congratulations to Kosovo on the one year anniversary of its independence. Further, the U.S. formally presented its support for Kosovo’s independence at the December 2009 World Court proceedings initiated by Serbia on whether Kosovo’s declaration of independence was valid under international law. Other than minor agreements and foreign aid packages, no major treaties have been concluded between the U.S. and Kosovo. Following the International Court of Justice ruling on July 22, 2010, deeming that Kosovo’s independence is not illegal, Secretary of State Hillary Clinton stated support of the decision. The US began trade with Kosovo in 2009. In that year, the US exported 5 million dollars and imported $400,000 worth of goods. US imports from the country began with $237,000 for “Other (boxes, belting, glass, abrasives, etc. )” while the largest export was meat and poultry at about $1.4 million. US foreign aid to Kosovo will decrease $13,820,000 between the 2010 and 2011 fiscal years in an attempt to normalize US aid (in comparison to large amounts of aid given prior to Kosovar independence). For the 2011 Fiscal Year, the US is providing $35,324,000 for Peace and Security. About $5 million will go towards Foreign Military Financing. This will aid the Kosovo Security Force to which the US is the largest donor and helps to mainly fund equipment requirements. About $28 million will go through the Assistance for Europe, Eurasia, and Central Asia (AEECA) program that supports police and law enforcement and mitigates trafficking and ethnic tensions. To help “govern justly and democratically,” the US will provide $23,147,000 to improve the performance of government institutions. The aid will also focus on increasing Kosovo’s ability to investigate and prosecute crime and corruption. With regards to the Health and Education sectors, the US will offer $3,264,000. The funds will go to AEECA which will in turn help the people of Kosovo augment economic growth, establish partnerships, plan and manage an education system, and increase access to potable water. To aid with economic growth, the US will endow $23,715,000. Once again, funds will be directed to AEECA. For the 2011 Fiscal Year, aid to the Government of Kosovo will focus on “ensuring their sustainability and effectiveness, including at the local level.” The requested funding for the 2010 Fiscal Year is directed towards increasing opportunities for youth and improve the electricity sector through privatization. Kosovo’s constitution promotes human rights and the government generally abides by these regulations. Major problems include ethnic tensions against Serbs and minimal progress in settling internally displaced persons. Kosovo’s 2008 Constitution provides for an elected unicameral parliament, which chooses the Prime Minister, as well as an independent judiciary. Kosovo’s November 2009 municipal elections, which were the first held since independence was declared, were generally praised for meeting international standards. The previous elections, held for Parliament in November 2007, were administered by the U.N. Although the Serbian community is generally alienated from the independent state of Kosovo, most observers agree that political freedoms, including those of speech, press, and expression, are generally well respected by the new government, which also has a good record of respecting minority religious rights. According to both Human Rights Watch and Amnesty International, there are problems with violence toward ethnic and religious minorities. For example, there are ongoing investigations into attacks on Roma communities in Kosovo. Both groups call for “speedy investigations leading to identification and prosecution of the perpetrators and measures to prevent any future attacks.” These attacks were perpetrated in mid-August 2009 by ethnic Albanians living in Gnjilane. At least four people–including a community leader–were injured. One issue is that the attacks are not always reported to authorities because the victims fear increased retaliation. Roma families in Urosevac have complained of verbal and physical abuse. Organizations like the UN mission in Kosovo (UNMIK), the UN High Commissioner for Refugees (UNHCR), and the EU rule of law mission in Kosovo (EULEX) are trying to determine whether these attacks are ethnically motivated. The government and government agents have not been charged of arbitrary or illegal killings. However, Human Rights Watch has asked the governments of Kosovo and Albania to be aware of and to investigate organ trafficking between the two nations. The allegations include that kidnapped civilians from Kosovo were taken to Albania, killed, and had their organs sold. There are also ongoing investigations into possible politically-motivated killings like the 2006 killing of Mark Oroshi, who is suspected to have killed Democratic League of Kosovo political activist Shaban Manaj in 2001. Since 2002 there have been 642 field operations and exhumations and the remains of 3,800 missing persons have been uncovered. They are now focused on identifying 1,570 sets of human remains discovered in Kosovo. Additionally, there were reports in 2009 of politically motivated attacks against Kosovo Albanian leaders. For example, on November 11, Prime Minister Thaci’s car was stoned, and three people were arrested. Prisons and detention centers in Kosovo are reported to meet international standards. There have been some allegations of abuse and mistreatment of prisoners–both physically and verbally. The Kosovo Rehabilitation Center for Torture Victims is a local NGO that monitors the centers and has only reported four cases of excessive force at the Dubrave Prison. One officer was then temporarily suspended. Kosovo’s constitution grants freedom of speech and press and enforces a law on broadcast media that disallows hate speech and speech that could lead to ethnic violence. Despite these laws, reporters have complained of threats by officials and businesses. A Press Council has been organized to enforce fines for breaking the code of conduct. Penalties of up to $2,860 for serious violations can be imposed. There have also been various cases of violence toward the media. For example, on March 13, 2009, police harassed reporters of the Kosovo Serb television show Glas Juga and Radio KIM. It was reported that the officers kicked the cameraman, but the police deny any complaints of mistreatment. The constitution protects religious freedom and the government abides by this. The law also requires religious organization to register as NGOs. Although many have registered, the Protestant Evangelical Church refuses to do so. Protestant sects also report discrimination by media, especially the television station RTK. The Ministry of Education, Science, and Technology has enforced a policy that prohibits religious instruction or promotion at school. An example of their enforcement is a law that prevents students from wearing headscarves at school. Although Kosovar law provides for freedom of movement and government, interethnic tensions prevent the law from being completely successful. UNHCR and other humanitarian organizations intervene in Kosovo to protect IDPs, refugees, and other vulnerable groups, while the government aids minorities. No crimes related to freedom of movement were reported. However, racial discrimination continues, such as rock throwing at Kosovo Serbs. There is no minimum wage in Kosovo, and the average monthly wage in the public sector is approximately $310 and $388 in the private sector. There are reports of labor violations, including the lack of a standard work week and compulsory and unpaid overtime. Kosovo's Ambassador to the U.S. The ambassador from the new Balkan nation of Kosovo is, at 38 years of age, a leading representative of the generation of Kosovars who came of age during the autonomy and independence struggles against Serbia during the late 1980s and early 1990s. A tech-savvy telecom activist and executive who brought the Internet to Kosovo, Akan Ismaili was appointed as Kosovo’s second ambassador to Washington in April and presented his credentials to President Obama on May 2, 2012. In light of the pivotal role the U.S. played in establishing Kosovo’s independence during the late 1990s, this appointment may be the most important diplomatic post to Kosovo foreign policy. Born circa 1974 in Kosovo, Ismaili began his undergraduate studies in computer science at the University of Pristina in 1992, at a time Serbia was trying to curb growing Kosovar nationalism by, among other steps, banning the use of the Albanian language, which Kosovars predominantly speak. As a result, the public school system, including the universities, split into two linguistically separate systems, although the Serbian government regularly harassed the Albanian-speaking system. Ismaili withdrew from studies in 1994 to setup the first e-mail server in Pristina, which played a key role in helping the opposition organize against the Serbian regime. In the mid-1990s, Ismaili managed IT infrastructure for the U.S. consulate in Pristina. When the war of 1998-1999 started in Kosovo and the U.S. became involved in diplomatic negotiations, Ismaili served as a translator for U.S. diplomats. Before the NATO bombing of Kosovo began, Ismaili was evacuated to Vienna, where he led a team translating and distributing U.S. government information to the Albanian-language media in the region and at refugee camps. In 2001, IPKO split into two entities: the for-profit IPKOnet and the non-profit IPKO Foundation. Ismaili served as CEO of IPKOnet, which provides access to broadband, mobile, fixed telephone and television in Kosovo, until it was taken over by Telekom Slovenije, a Slovenian telecom company. During the same time, Ismaili co-founded the American University Foundation in Kosovo, which is raising funds to establish an American-style university in Kosovo. To date, the foundation has raised more than $8 million, which it has used for programs in conjunction with the Rochester Institute of Technology. Ismaili is married and has children. Kosovo's Embassy Web Site in the U.S. Address: Presidential Plaza at 900 19th Street NW, Suite 400, Washington, D.C.
Embassy Web Site in the U.S. The Balkan nation of Kosovo, which owes its existence to U.S.-led intervention in 1999 against the nation of Serbia, of which it was a part, is welcoming a new ambassador from Washington. 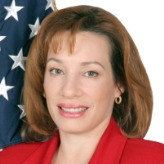 On January 23, 2012, President Obama announced his intent to nominate Tracey Ann Jacobson as the next Ambassador to Kosovo. She was confirmed on March 29. This is Jacobson’s third ambassadorial appointment, and she will be only the third chief of mission assigned to the U.S. embassy in Pristina. The daughter of John and Barbara Thomas, Jacobson was born in 1965. She earned her B.A. at Johns Hopkins University in 1987, and her M.A. at the Johns Hopkins University Paul H. Nitze School of Advanced International Studies in 1988. She joined the Foreign Service in June 1988. 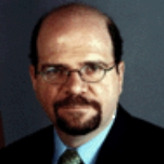 Jacobson had early career foreign postings in Seoul, South Korea; Nassau, Bahamas; and Moscow, Russia. Her domestic assignments included the Bureau of Intelligence and Research, the Bureau of Western Hemisphere Affairs, and the Office of the Under Secretary for Management. Jacobson served as deputy executive secretary at the National Security Council, where she facilitated the development of foreign policy initiatives for the National Security Advisor and the President, for several years ending in 2000. She served as deputy chief of mission at the U.S. embassy in Riga, Latvia, from 2000 to 2003. Jacobson served her first ambassadorship at the embassy in Ashgabat, Turkmenistan, from August 2003 to July 2006. Before assuming her post, she said that the Turkmen dictatorship had “chosen a gloomy path of development copied from the Soviet model—retaining a single-party system and a strictly-controlled command economy.” She then served as ambassador at the embassy in Dushanbe, Tajikistan, from August 2006 until July 2009. She returned to a stateside job, becoming deputy director of the Foreign Service Institute, which is the educational arm of the State Department. Jacobson has studied French, Russian, Spanish, Korean, and Tajik. Christopher William Dell was confirmed by the Senate as the U.S. Ambassador to Kosovo on July 10, 2009, and sworn in on July 31, 2009. Born in 1956, Dell earned a B.A. from Columbia University in 1978 and an M. Phil. in International Relations from Balliol College, Oxford University in 1980. Joining the Foreign Service soon after graduating Oxford, he was almost immediately sent abroad, serving as Vice Consul in Mexico from 1981 to 1983, Vice Consul in Portugal from 1983 to 1984, and Political officer at the U.S. Embassy in Portugal from 1984 to 1985. Returning to the U.S. in 1986, Dell served in the Bureau of European and Canadian Affairs from 1986 to 1989 and as Special Assistant to the Under Secretary for International Security Affairs from 1989 to 1991. Sent back overseas in 1991, Dell served as Deputy Chief of Mission in Mozambique from 1991 to 1994, and was then promoted to Deputy Director of the Office of Regional Political Affairs and the Bureau of European and Canadian Affairs from 1994 to 1996. Since 1996, he has taken a string of foreign assignments, including Deputy Chief of Mission in Bulgaria from 1997 to 2000, Chief of Mission in Kosovo from 2000 to 2001, Ambassador to Angola from 2001 to 2004, Ambassador to Zimbabwe from 2004 to 2007, and Deputy Chief of Mission in Afghanistan from 2007 to 2009. Dell’s tenure in Zimbabwe was particularly stormy, coinciding as it did with a sharply worsening humanitarian and human rights situation. The remarkably corrupt government of President Robert Mugabe engaged in a violent crackdown on its critics; when Dell publicly criticized the violence and the endemic corruption, Mugabe told Dell to “go to hell.” Dell later left Zimbabwe, disappointed that Mugabe remained in power. Dell is fluent in Spanish, Portuguese and Bulgarian. He married the former Theodora Galabora in 2006. They have two children from previous marriages.